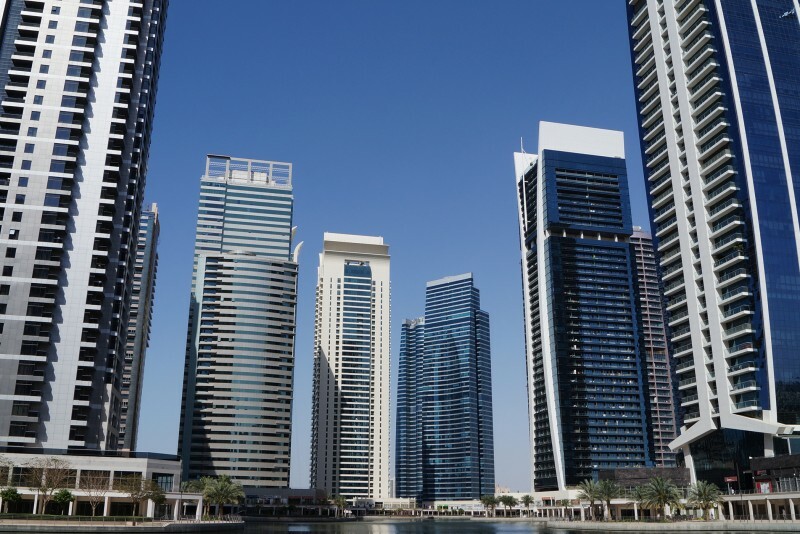 Jumeirah Lakes Towers is a mixed use waterfront district located behind Dubai Marina and is home to the Dubai Multi Commodities Centre Free Zone, the largest and fastest growing free zone in the UAE, and an increasingly important regional commodities hub for trade and enterprise. 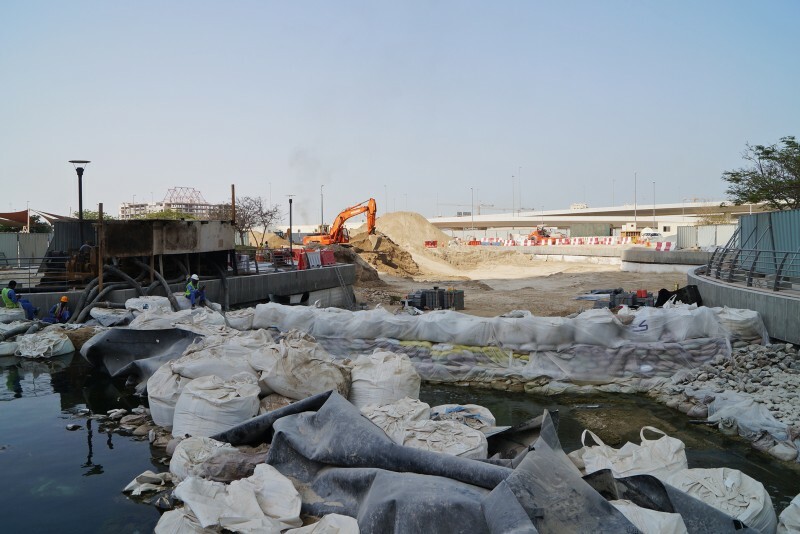 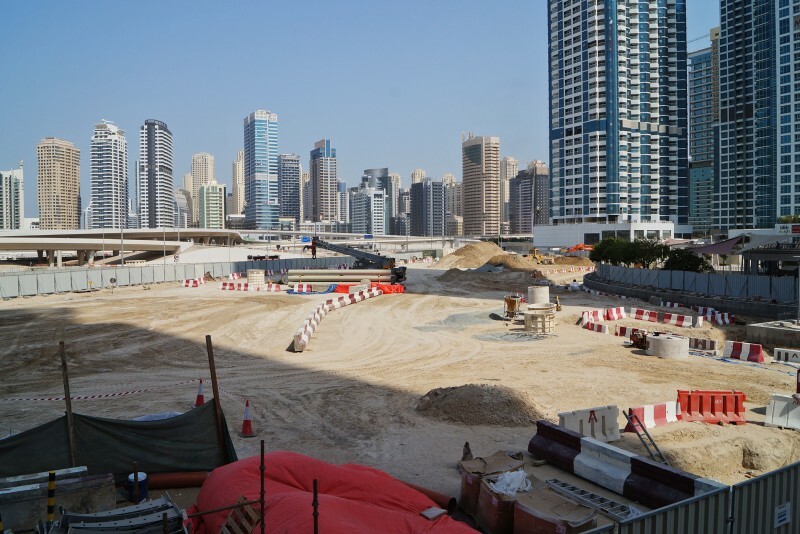 Plans are already afoot for the so called ‘Burj 2020’ the world’s tallest commercial tower to be built right here. 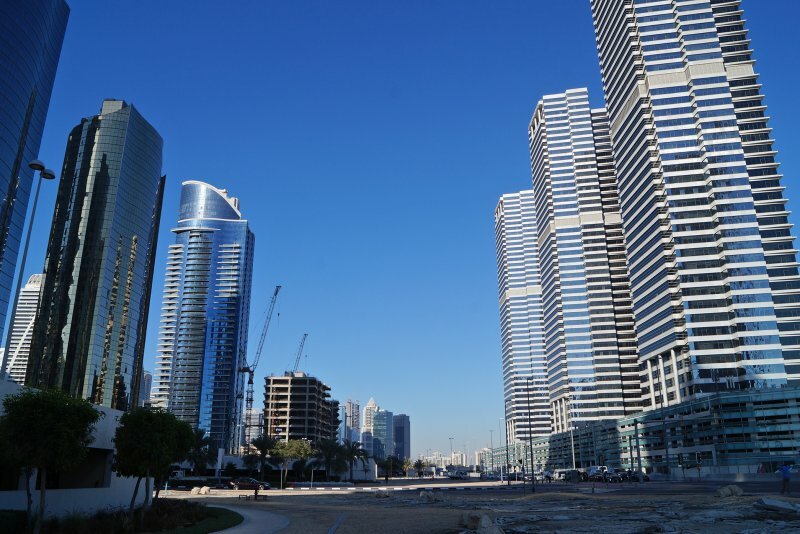 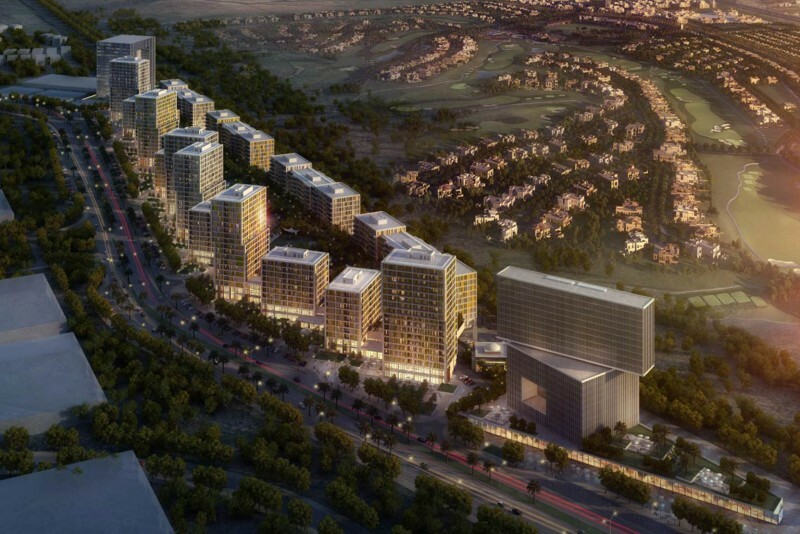 The 87 existing tower blocks at JLT, as the place is known, are built around three lakes and a park and comprise commercial and residential buildings as well as hotels, shops and leisure facilities. 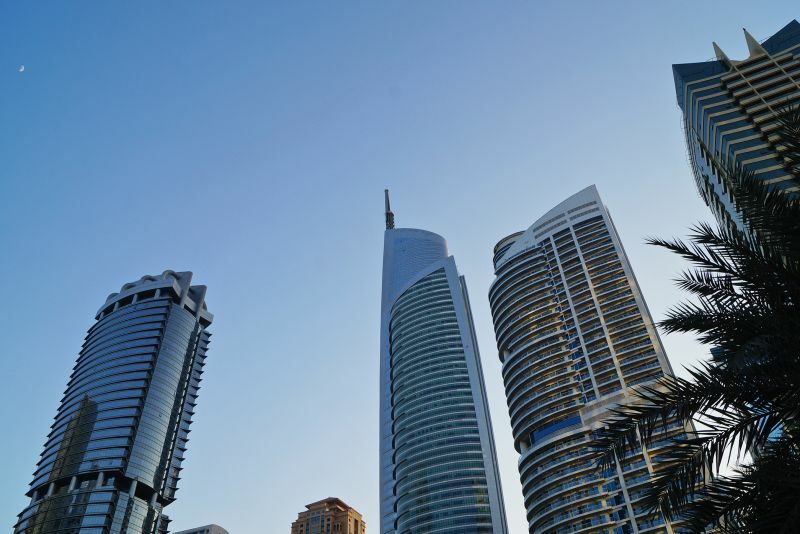 Apart from the centrepiece 66 storey Almas Tower all the buildings range from 35 to 45 floors in height and are arranged in 23 clusters. 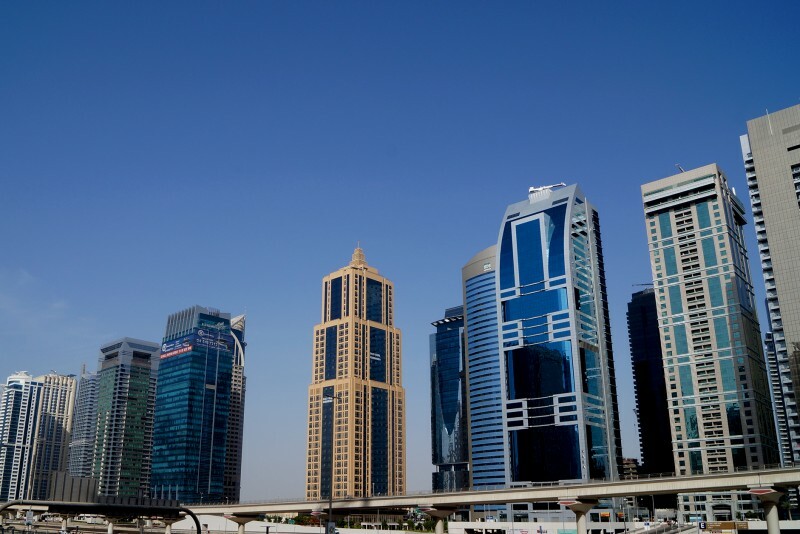 With a growing population of over 35,000 residents JLT suits singles and young couples who have come to Dubai to work. 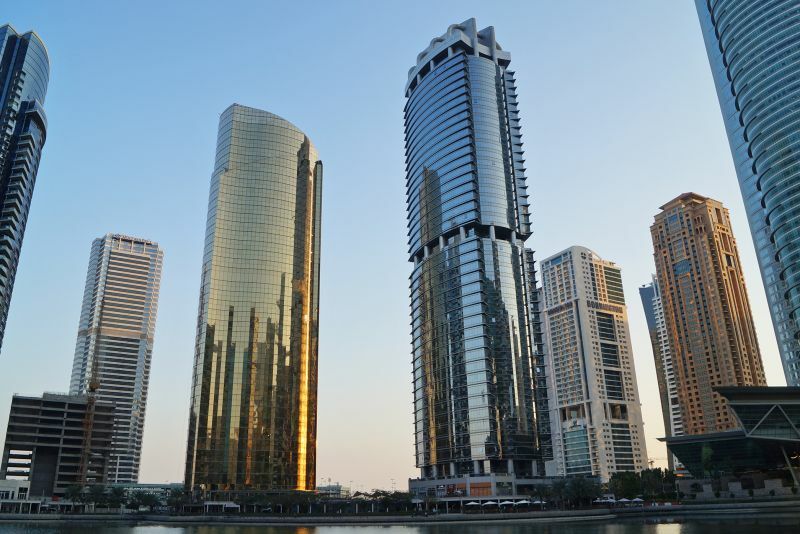 There are no houses or villas, just high-rise apartment blocks rubbing shoulders with classy, glassy corporate towers. 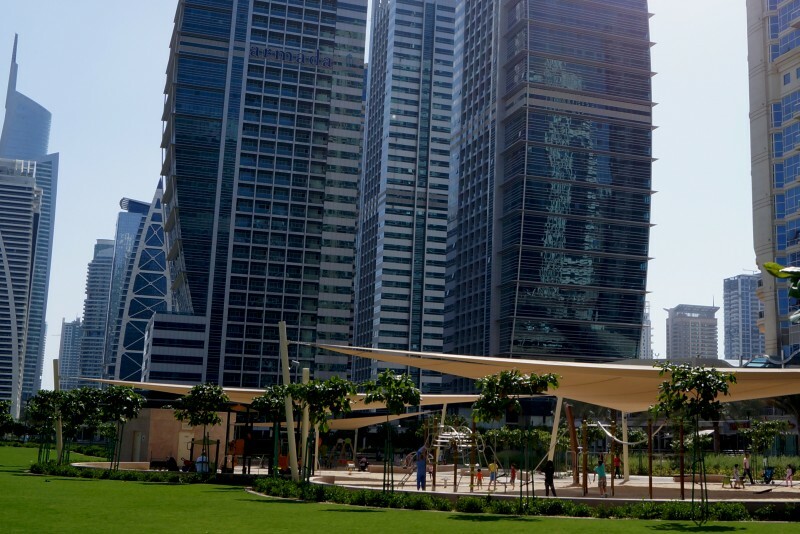 The main attraction is being able to live close by the work place, although JLT also appeals to those who work out of town but enjoy a high-rise, high octane city lifestyle. 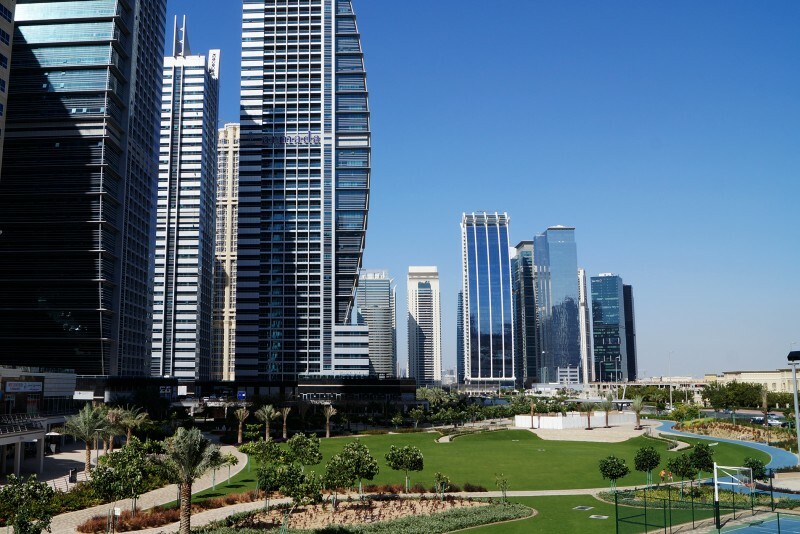 Apartments here are more affordable than those closer to Jumeirah Beach or Dubai Marina, but the JLT lifestyle is hard to beat with the landscaped lakeside promenade providing an ideal location for leisurely walks, jogging or cycling and community events. 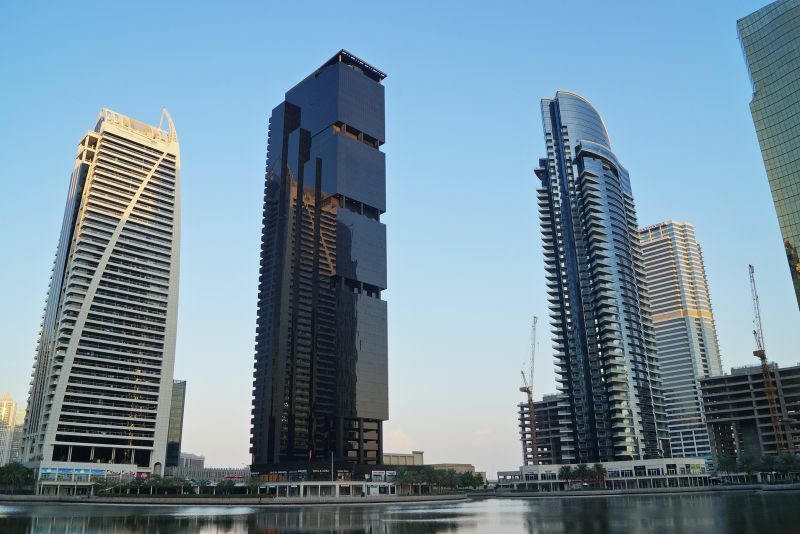 One-click links to properties currently on the market in Jumeirah Lakes Towers. 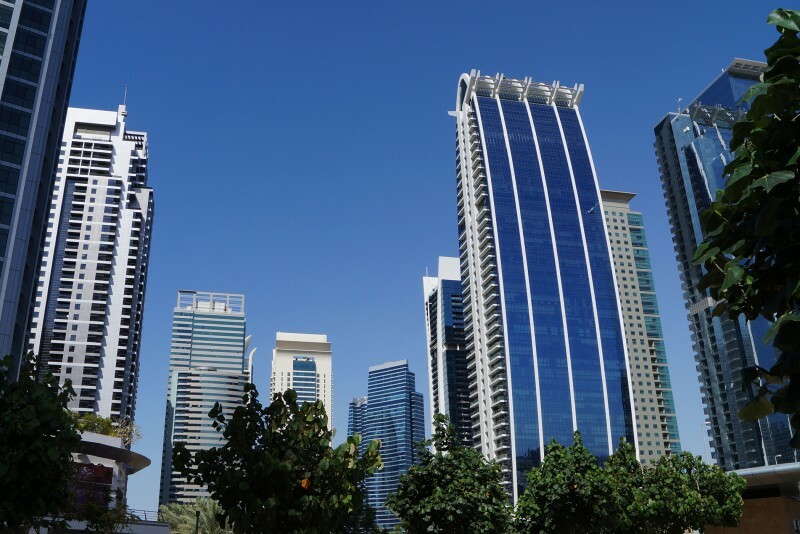 For many residents and office workers here the only real attraction is Bonnington’s Irish Pub, but for those who have to eat there are plenty of restaurants and cafes, including live jazz evenings at Pizza Express. 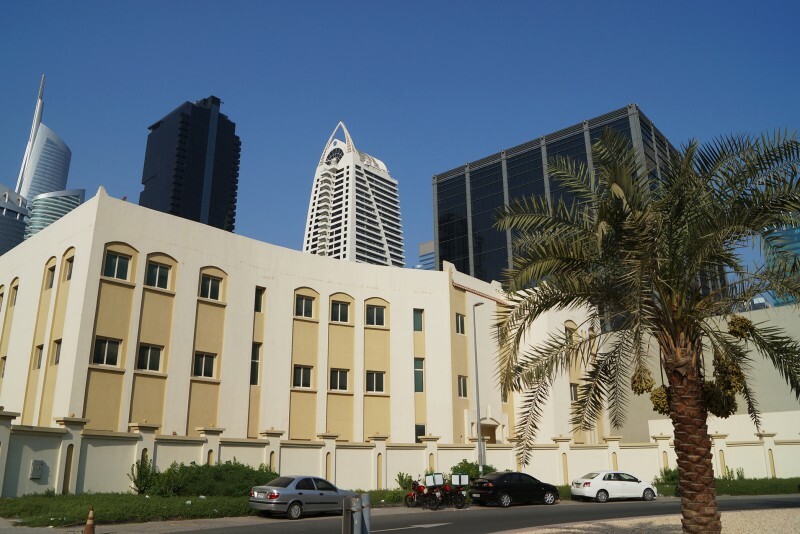 All tower clusters have mini-marts or convenience stores at concourse level and along the waterfront where you will also find medical clinics, gyms, health clubs and spas, and beauty parlours. 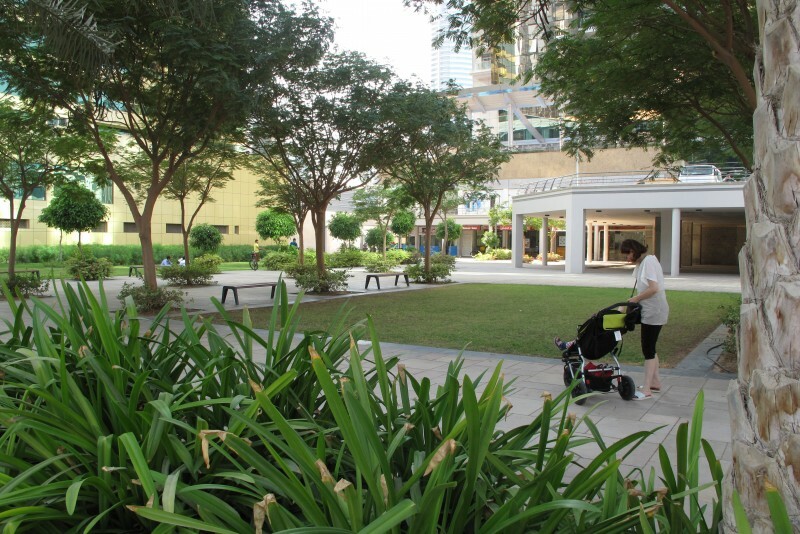 For proper shopping there are three malls, each the size of a small town, within ten minutes driving. 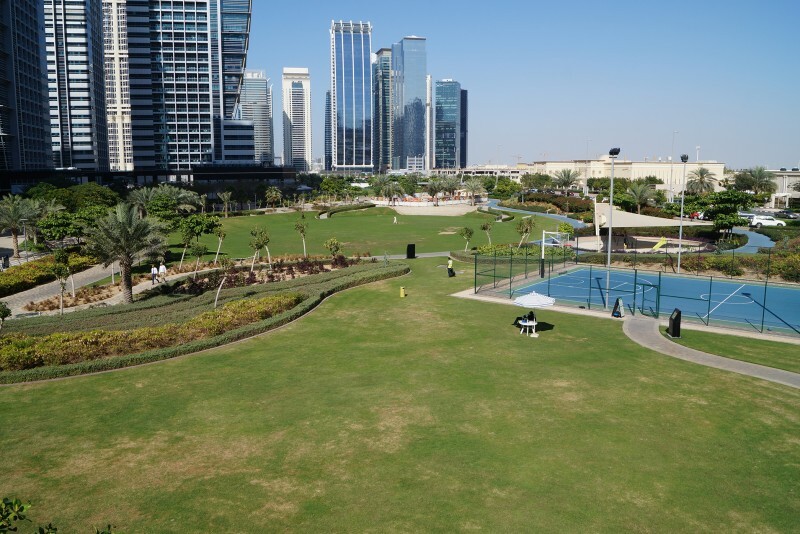 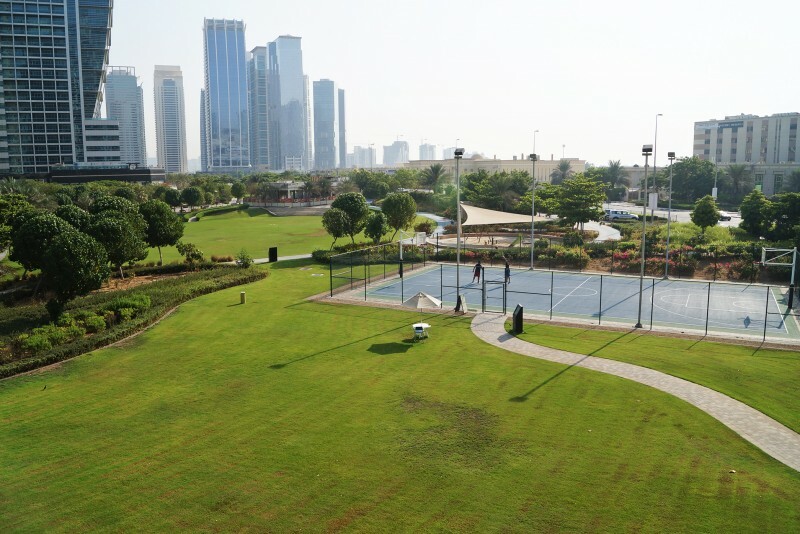 There are two schools just 12 minutes away, and four children’s playgrounds within JLT as well as shared pools for resident families and singles alike. 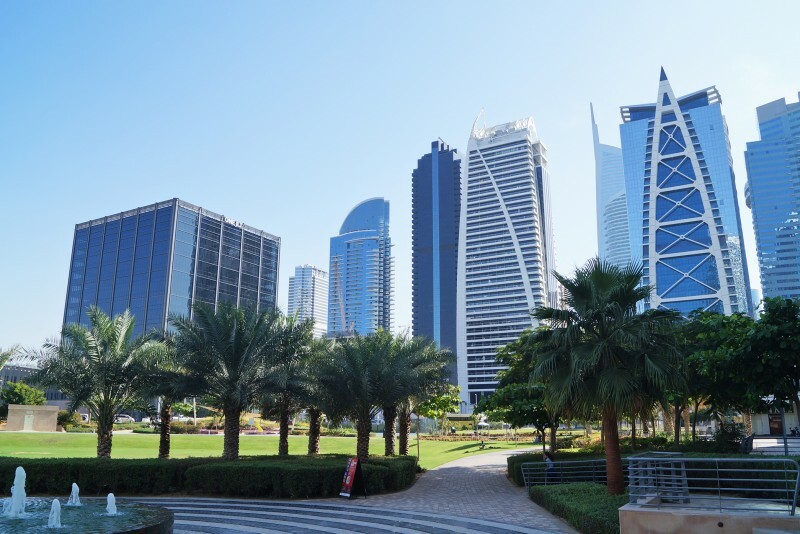 JLT is well located close to Sheikh Zayed Road, the main highway running through Dubai and on to Abu Dhabi, but is also just ten minutes walk away from Jumeirah Beach and The Walk with its shops and continental cafe culture. 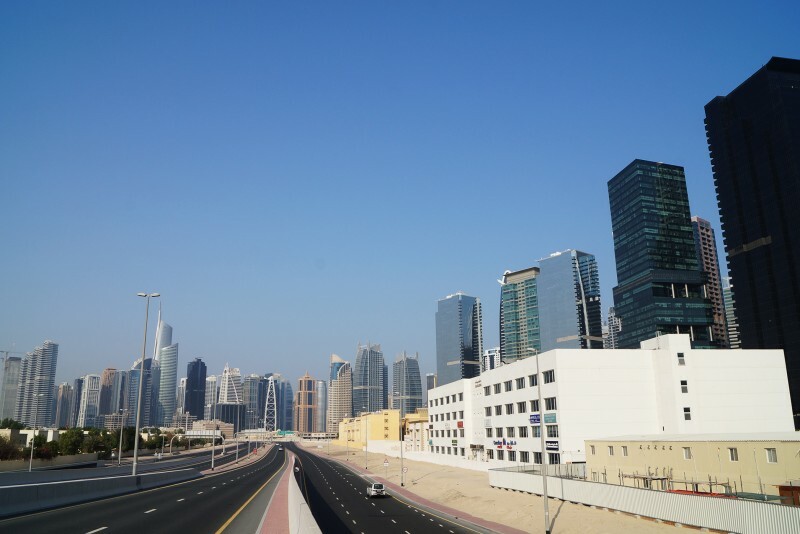 Abu Dhabi is about an hour’s drive from JLT. 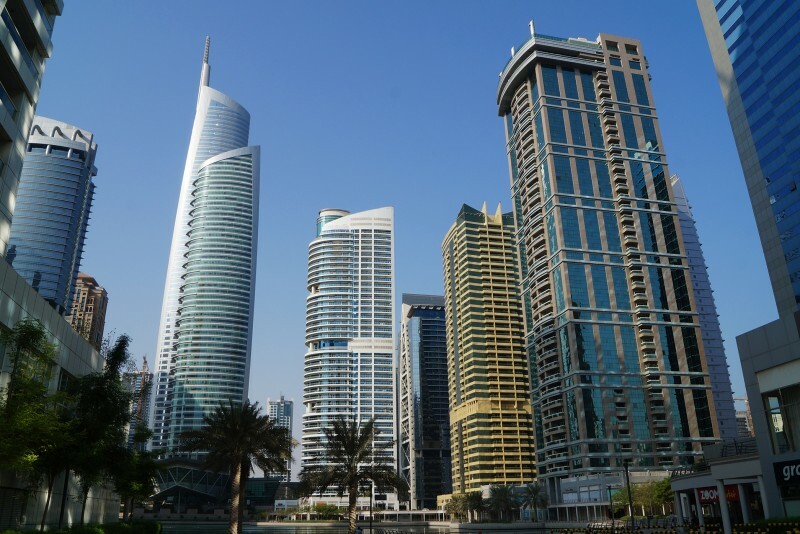 For those travelling within Dubai there are two handy metro stations, Jumeirah Lakes Towers Station and Dubai Marina Station. 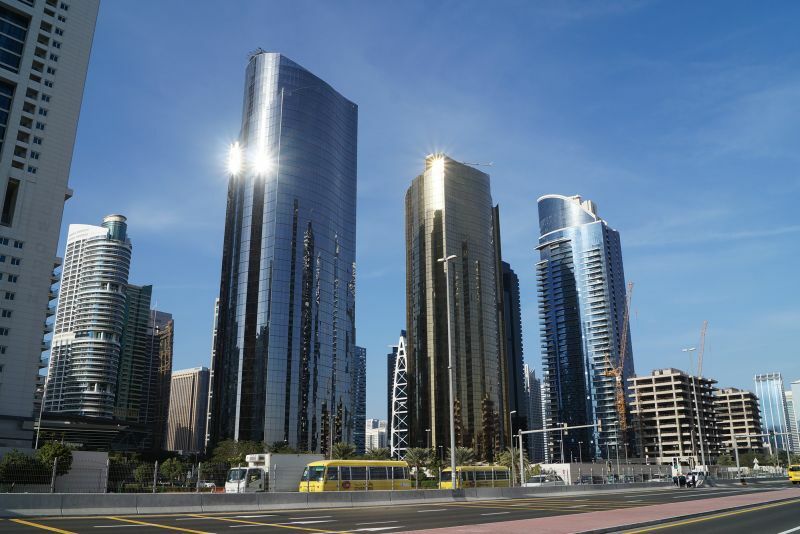 Dubai International Airport is a 50 minute ride on a state of the art driverless train. 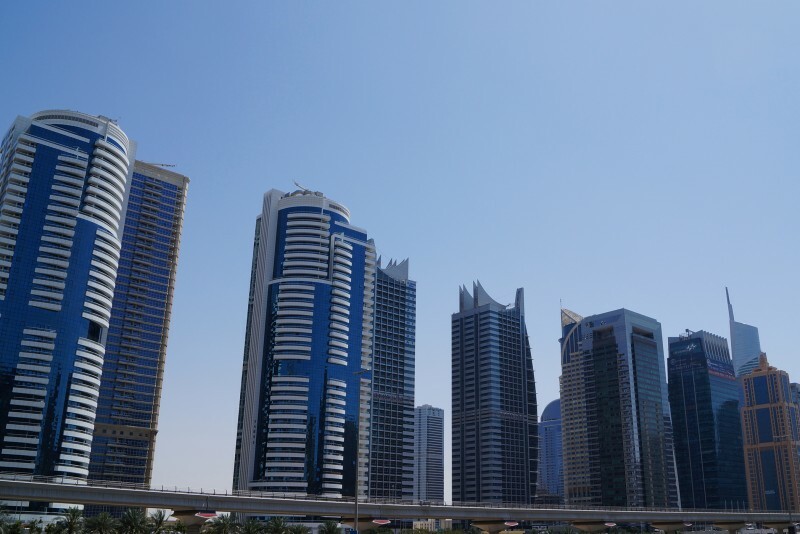 For the hyper lazy a golf buggy taxi will transport you from the metro station to your building for five dirhams. 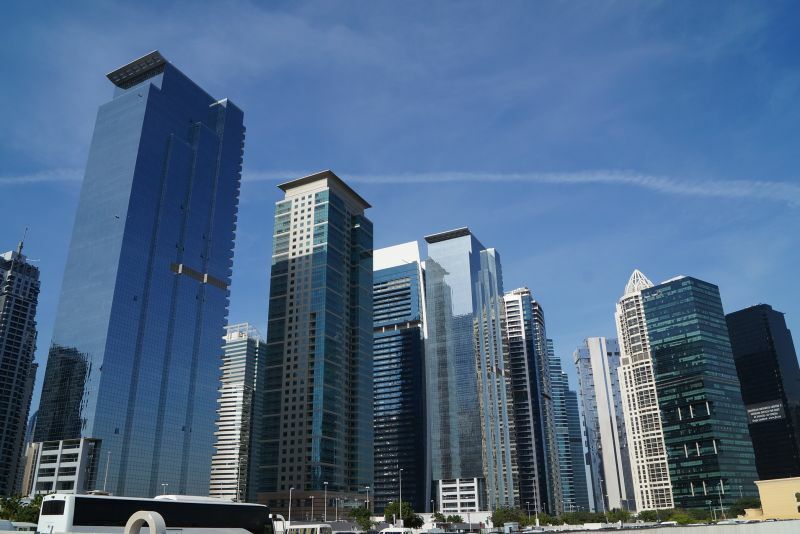 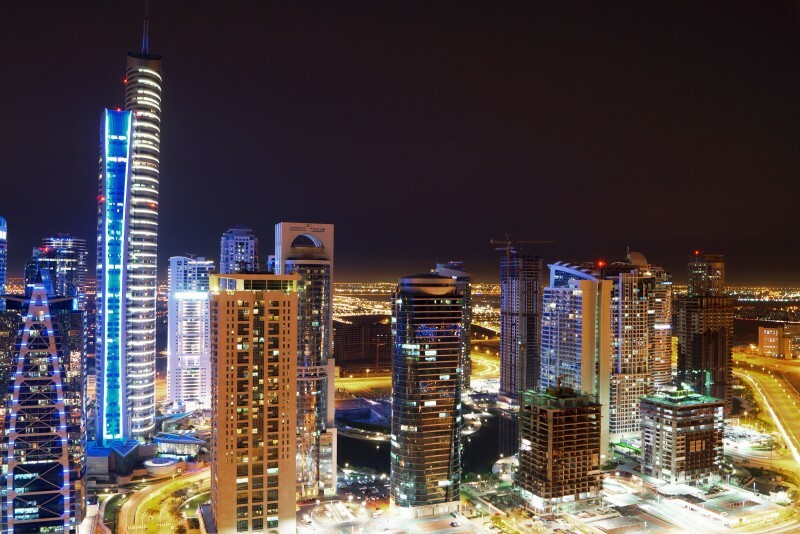 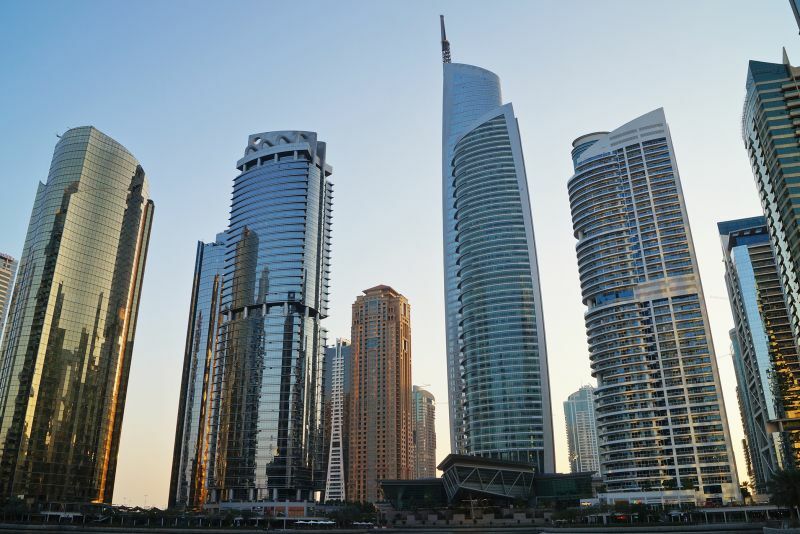 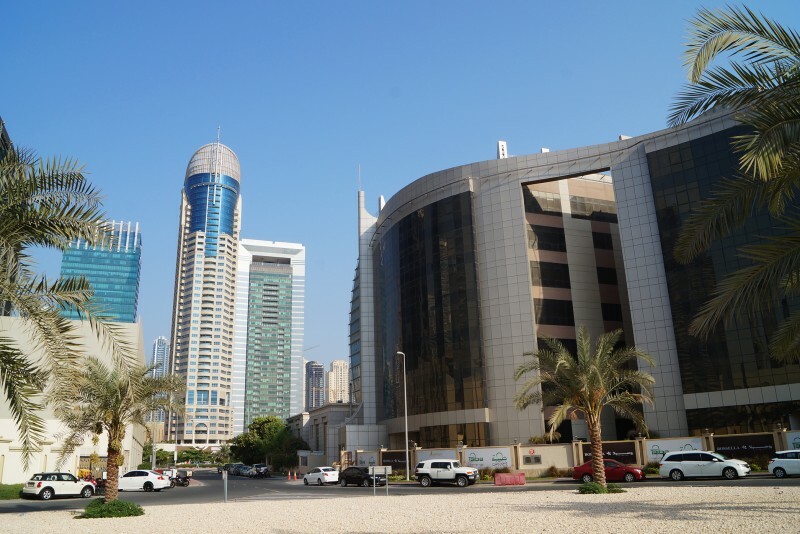 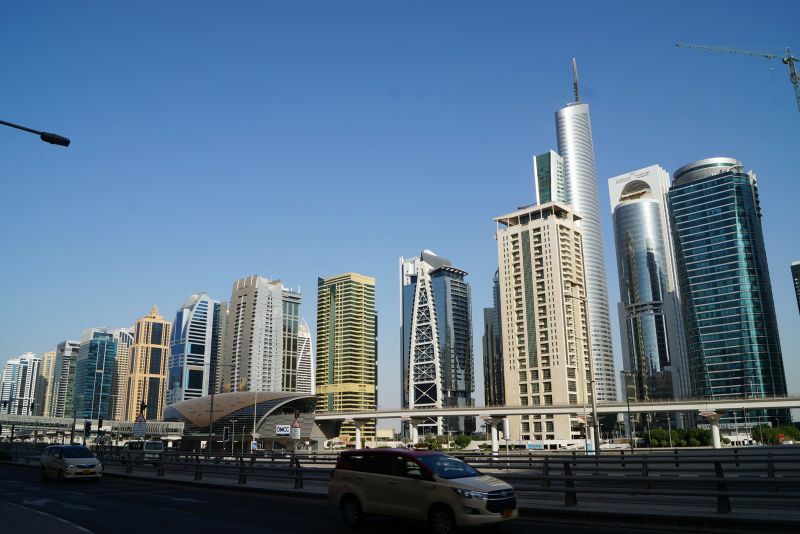 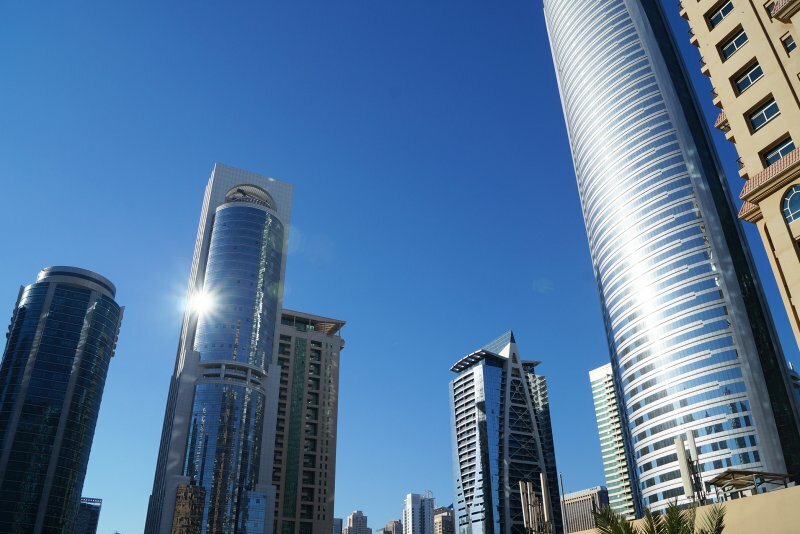 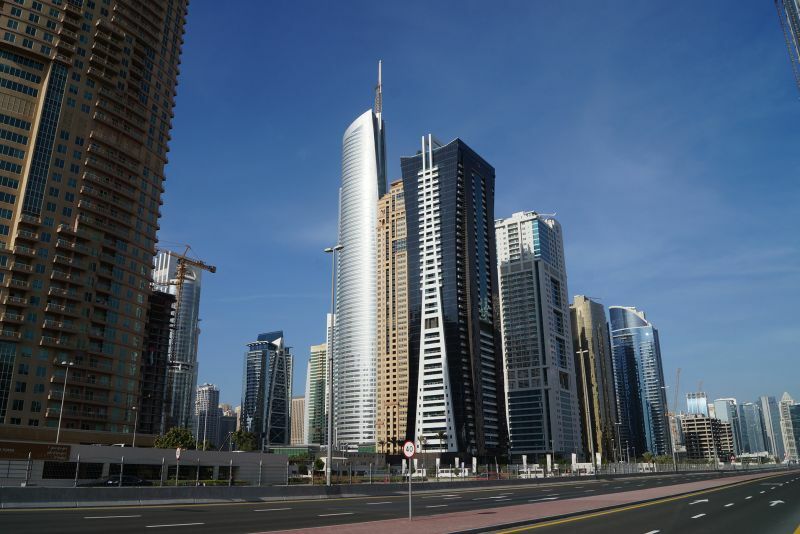 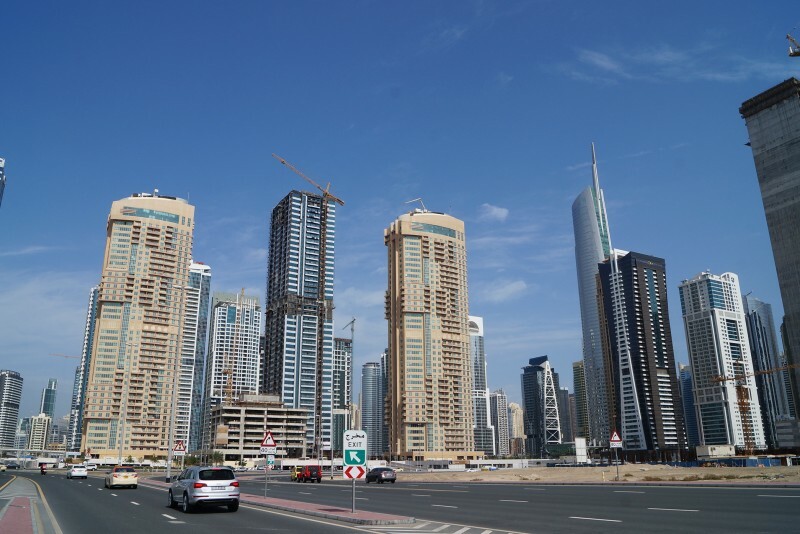 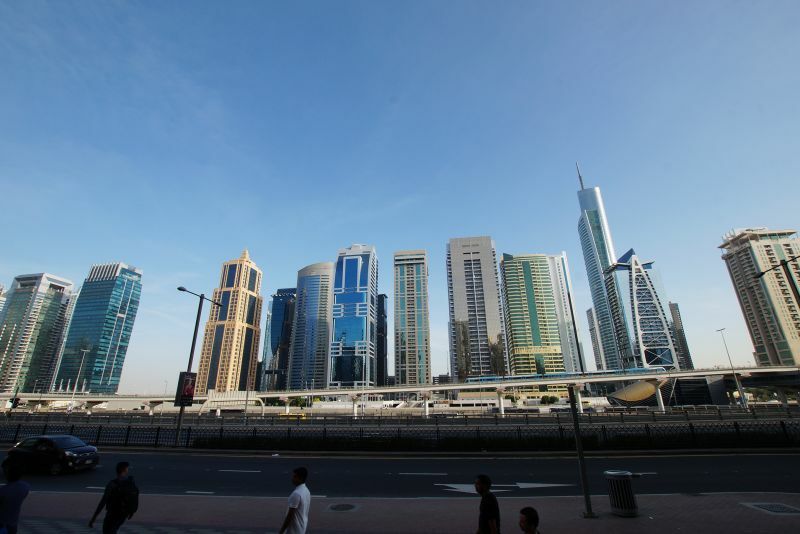 We currently maintain records for 89 building developments in Jumeirah Lakes Towers. 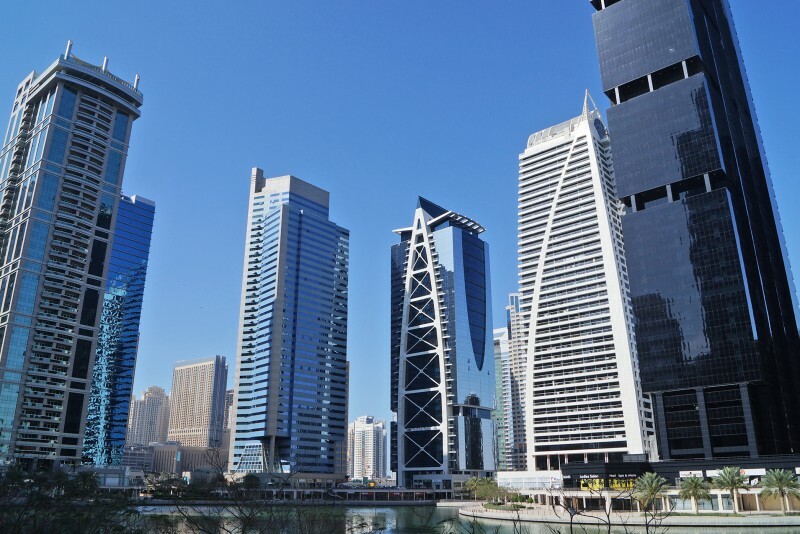 View all Jumeirah Lakes Towers building developments.